At the risk of being redundant, I am posting the next draft of my Author's Statement, or, "Why I Wrote Edges". The feedback I got from Beth Potter at FSG and my publicist, Jessica Zimmerman, was very enthusiastic. They assured me the more personal, the better, and even though it would make it longer, they asked me to include a nod to my grandmother. So I've revised and tweaked because I can't help myself. What do you guys think? EDGES was borne out of the year I spent in Moab, Utah. I had never heard of Moab before I went out west from New York City on vacation with a friend. We stayed at the Lazy Lizard Youth hostel where I met a cast of characters, including the man who would ultimately become my husband. The surreal landscape of barren earth and red rocks called me to change my life, lobbied me to quickly, almost impulsively, quit my job as a Drama Therapist on the psychiatric floor of a hospital in the Bronx. It was meant to be: Moab’s Four Corners Community Mental Health Center needed someone to help start up an intensive out-patient program for teens. My adventure to the desert shocked my family, friends, and most of all myself. Counseling teens in rural Utah? I was pushing the boundaries of my self-perception. To get on my feet, I stayed at the youth hostel where I had made some friends. Among the personalities at the hostel was a charismatic teen who had pitched a tent in the back and was ostensibly "living" there. Nobody knew his real story, and then one day after a long hike, I heard that this boy had moved on. I’ve wondered about him ever since. My work that year consumed me. I was naively shocked when a 14 year-old girl was sent to me for her habit of shooting crystal meth. She wound up in the hospital and an in-patient program. Most of the teens I worked with were court-ordered; it was all intervention and no prevention. I introduced them to a variety of tools, including behavioral therapy, the twelve steps of Alcoholics Anonymous and some outward-bound type hiking sessions. My faith in love and the universe was sorely tested treating these young men and women who were only seeking a way to transcend a hum-drum existence: drugs and alcohol replacing faith. I was constantly asking myself questions. Aren’t we all seekers of some sort? Isn’t that what I was doing in Moab? Why is addiction so pervasive, and allowed to go unchecked? What road map can we offer kids who are lost, to help them find their way? Books have always been a kind of map for me, but I couldn’t find any fiction about the process of recovery. We all need some kind of guide, but our society trains us to use people, places and things in an addictive way, leaving us no room for faith in ourselves, let alone a Higher Power. Years later, back in New York City, I had gone on to work as a high school counselor, was beginning to raise my own children and was helping take care of my aging grandmother, author Madeleine L’Engle. It was she who’d given me my first journal when I was a child, and though I always wrote, I’d never dared follow in her literary footsteps. She’d won the Newbery for A Wrinkle in Time and written over sixty books! My grandmother had always encouraged me spiritually and creatively, yet as her health declined she felt lost to me. It was only after she died that I felt her spirit again and found the persistence to finish a novel. 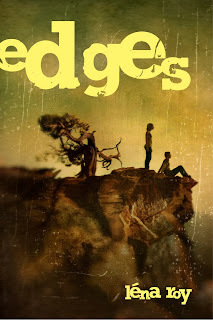 One morning seven years ago, the boy from the youth hostel figuratively tapped me on the shoulder and whispered the first scene of EDGES. I wrote furiously as if taking dictation. I called my protagonist Luke, and he was running away from his mother’s death and father’s alcoholism in New York City to a youth hostel in Moab, Utah. I wrote the first draft in about three months, and then kept revising. At first I was obsessed with the crystal meth problem. I read great books with graphic depictions of the descent into addiction, but nothing about the journey beyond that addiction. I was more interested in asking: what happens when you take away the substance? Or, if like Luke, you just run away? What does it take to remain authentic, to maintain a sense of who we are when our perceptions of the world are challenged? I write to map the world, and EDGES came from my desire to portray transcendence amidst bleakness, my interest in flirting with the edges of mysticism and insanity, my curiosity in challenging where our personal edges are. Lovely! I see your book as many layered. I am excited to read it. I am a Utah native and love hiking Moab. 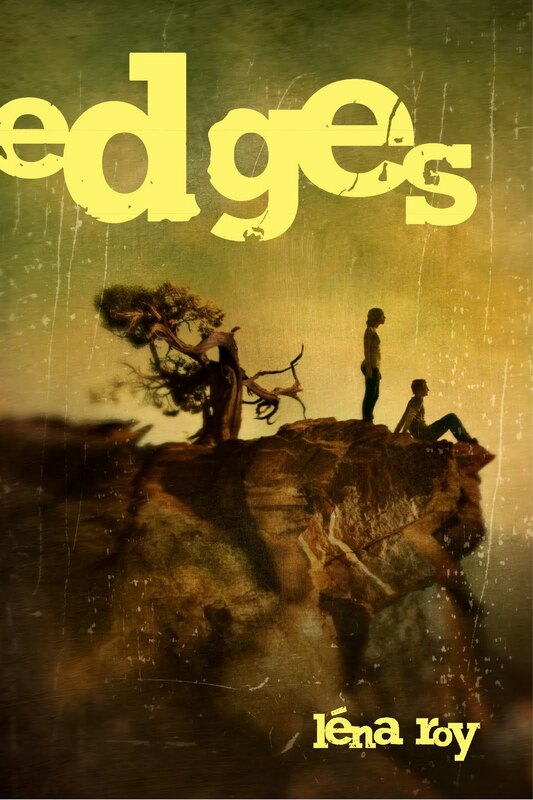 As excited as I am about Edges, I must ask if you will ever publish your grandmother's journals? I wish on your blog, also, you would consider posting writing hints and journal keeping helps. Thanks! Interesting question re my Gran's journals: she stipulated in her will that they not be published until fifty years after her death. We have a long time to wait! As for writing tips, thank you for the suggestion for blog posts - I will make sure to do just that either tomorrow or on Friday. Thank you for the feedback and questions! That's how I found your blog--the L'Engle e-newsletter. You make me smile, oh Wonderwegian! I'm so glad that you found me from my Gran's e-letter, and have stuck around so we can get to know each other! An on-going gift from my grandmother - an expansion of the circle! Hey really such a amazing post dear. showboxsave Thanks for sharing this amazing post.